CNN's Showbiz Tonight Covers "Flexisexuality" Today! CNN asked Faith Cheltenham, BiNet USA's new president to come down and speak on the issue. Let's see what happens on Showbiz Tonight! 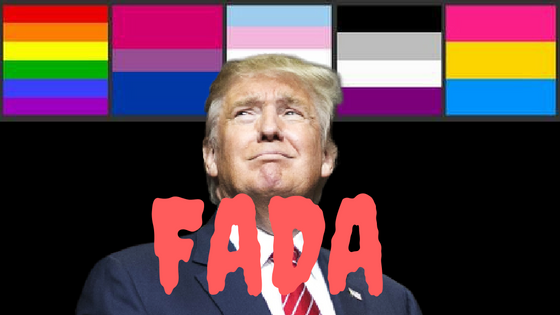 The "flexisexuality" segment will air during the 2pm PT/5pm ET news hour and again at 11pm PT/ET. New Report on Bi Invisibility! 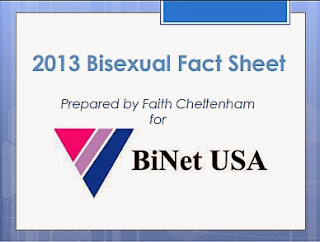 Recent studies have found that bisexuals are the largest population in the LGB community. According to a study published in the Journal of Sexual Medicine in 2010, 3.1 percent of individuals self-identify as bisexual, compared to 2.5 percent as gay or lesbian. Yet, Ulrich pointed out bisexuals had poor health outcomes, lived in poverty, faced discrimination from both mainstream society and gay and lesbian, and weren't being served by queer organizations that have "B" in the name. Bisexuals "weren't considered at all" in funding for services or bisexual organizations or even mentioned in annual agency reports, she said. Read all about it on the Bay Area Reporter! and download the full report today! Many Congrats to Lindsasusan Ulrich for her hard work in preparing the report!